Whether you run an established corporation or are developing an early-stage business, the Steuben County EDC provides the resources you need to grow and thrive. Our programs and services have been thoughtfully developed with the express goal of growing our communities already thriving business community into a diverse collective of successful businesses big and small. Steuben County REMC is a co-op built and driven by member needs. As a not-for-profit electric utility, we are owned by the members to whom we provide service. Located just south of the monument in Angola, Indiana, Steuben County REMC services the rural areas of Steuben County and parts of DeKalb and LaGrange counties. Our mission is to provide customer satisfaction, superior service and community involvement through the use of innovative ideas and equipment, a talented, dedicated workforce, and sound cooperative principles. Northern Indiana Public Service Company NIPSCO, with headquarters in Merrillville, Ind., is one of the seven energy distribution companies of NiSource Inc. (NYSE: NI). With more than 821,000 natural gas customers and 468,000 electric customers across the northern third of Indiana, NIPSCO is the largest natural gas distribution company, and the second largest electric distribution company, in the state. NiSource distribution companies serve 3.8 million natural gas and electric customers primarily in seven states. 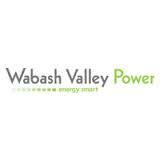 Wabash Valley Power is a not-for-profit generation and transmission electric cooperative serving 23 member distribution co-ops in Indiana, Illinois, and Missouri—who power more than 311,000 homes, schools and businesses.